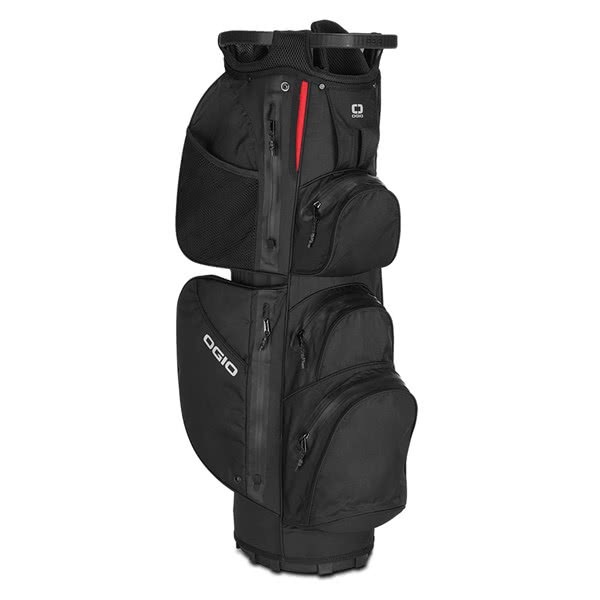 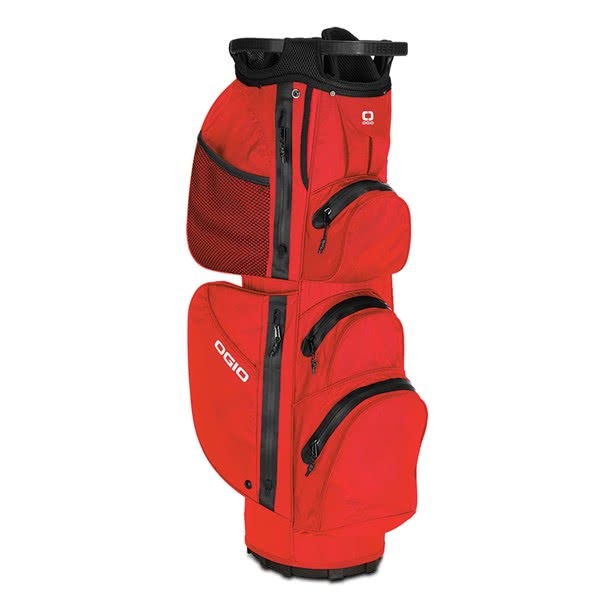 The Ogio Alpha Aquatech 514 Hybrid Cart Bag provides maximum storage with a total of 8 pockets and a lightweight waterproof fabric for the ultimate performance. 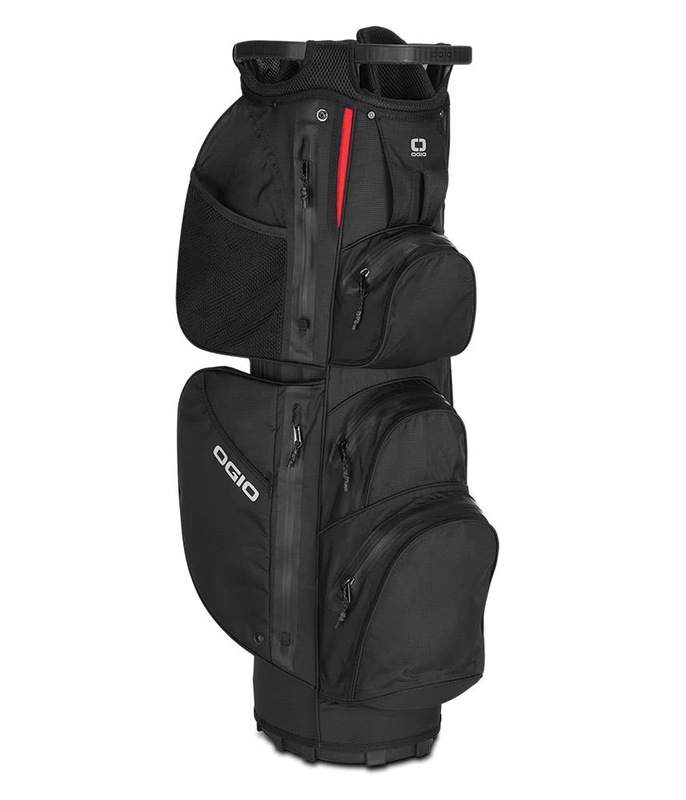 Ogio have used their lightweight Aquatech 200D Ripstop waterproof fabric and used YKK waterproof zippers on all eight pockets to make this bag watertight. 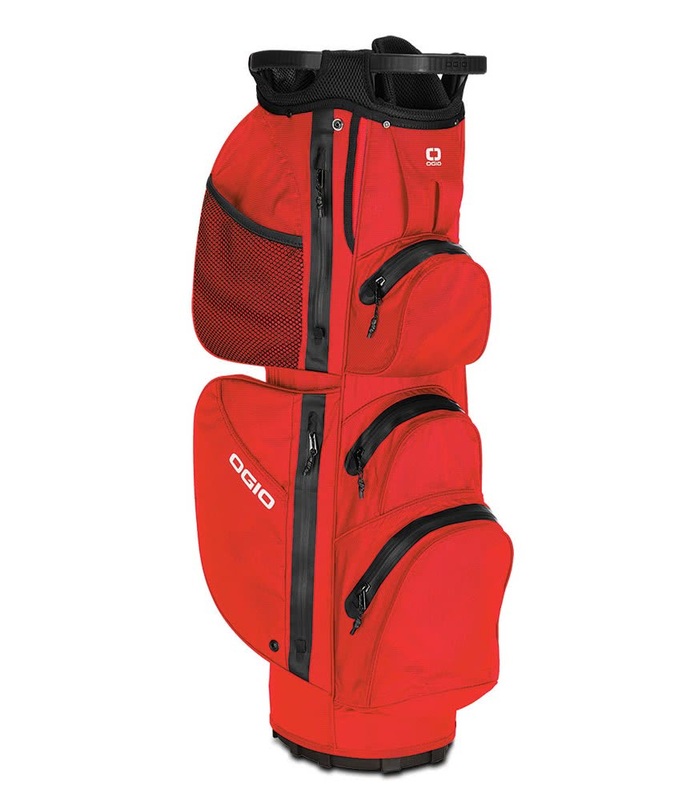 All eight pockets are forward facing and full accessible when on a trolley or buggy. Included in the pocket layout is a fleece-lined valuables pocket, insulated beverage pocket, a full length apparel pocket and an internal stash pocket. 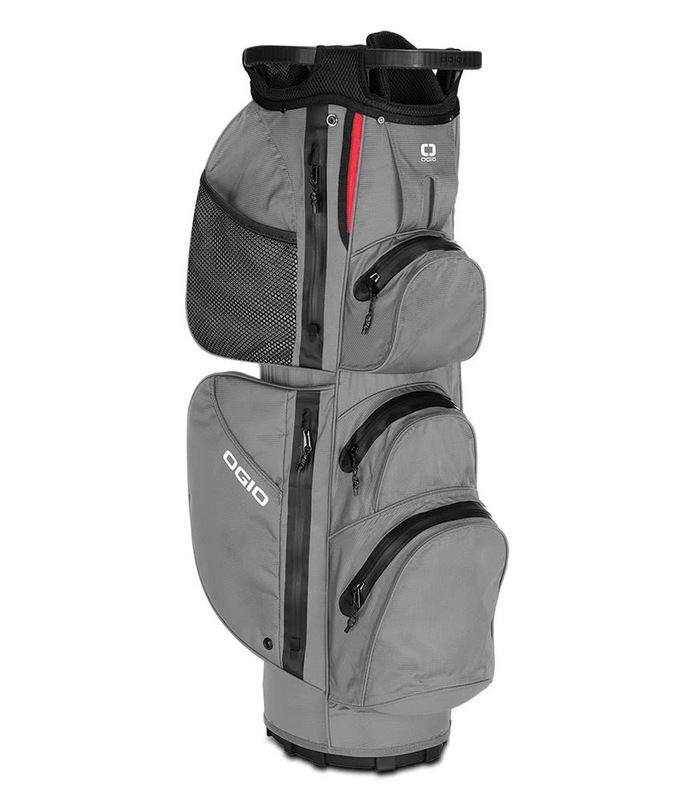 A 14-way divider top featuring 3 grab handles makes club management exceptionally easy whilst the grab handles make lifting, lowering and loading much easier. 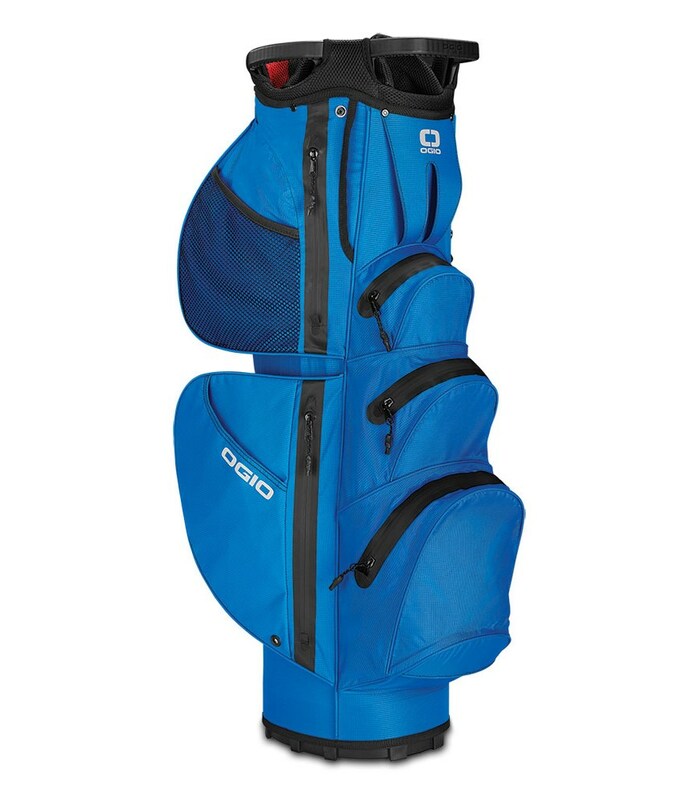 Other features on the Aquatech 514 Cart Bag include a front facing umbrella holder, a quick access cart strap pass through, adjustable towel loop and a cart friendly base unit.